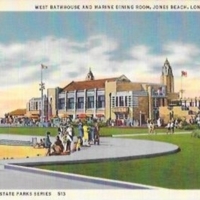 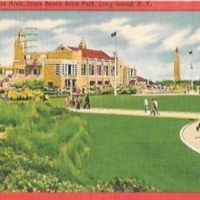 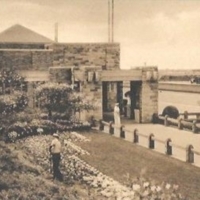 West Bathhouse and Marine Dining Room, Jones Beach, Long Island, N.Y. 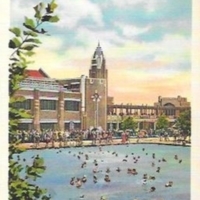 Bathers in Pool at West Bathhouse, Jones Beach, Long Island, N.Y. 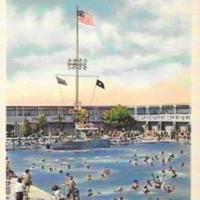 Swimming Pool at West Bathhouse, Jones Beach, Long Island, N.Y.